In Texas, many uninsured motorist (UM) claims or underinsured motorist (UIM) claims fall under the auspices of the Texas Insurance Code. This article was originally enacted in 1967, amended in 1977 and further complicated by a 2006 Supreme Court decision, known as the Brainard Decision, that changed the way uninsured motorist claims are handled. Uninsured or underinsured motorist claims are called first party claims. If you’re dealing with any of these claims, it is imperative that you consult an uninsured or underinsured motorist lawyer expert. It is safe to say, that while the law is clear regarding UM and UIM claims and related insurance coverage, these claims can be complicated and surprisingly challenging for inexperienced attorneys. Uninsured and underinsured motorist claims can quickly go awry in the hands of less experienced lawyers. 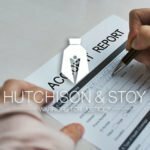 The experienced attorneys at Hutchison & Stoy in Fort Worth, TX have been successful at protecting their client’s rights through the uninsured and underinsured motorist claims process. Contact 817-820-1000 for a free consultation regarding your rights in an uninsured or underinsured motorist case. Texas passed uninsured motorist legislation to protect its citizens but the system is difficult to navigate when challenges occur. Many passengers and drivers do not fully comprehend the many instances where uninsured and underinsured motorist claims can arise. In many cases, more than one uninsured/underinsured policy may apply to your case and offer opportunities to help pay your medical bills and compensate you for pain and suffering. In Texas, every auto insurance policy is mandated to include at least minimal UM/UIM coverage. Under Texas Insurance Code, underinsured and uninsured motorist coverage is presumed to exist unless the insured denies coverage in writing. Uninsured and underinsured auto insurance extends to named insured and any family members, who are defined as persons who reside at the same address as the named insured. Under this coverage, the insurer will pay the damages to a covered person. This applies both to bodily injury and personal property damage. If issues regarding the uninsured nature of the vehicle arise, the burden of proof lies with the carrier. In cases where the vehicle may be deemed underinsured, the burden of proof falls to the claimant. Understanding this structure makes it easier to see why legal representation is recommended in uninsured motorist claims and for underinsured auto claims. 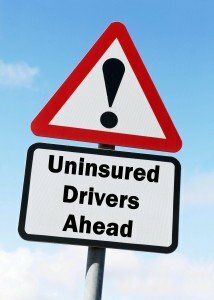 Is the Motorist Uninsured or Underinsured? According to Texas Insurance Code, an underinsured vehicle is one that has some insurance but the policy limits are less than the amount of the claims against said coverage. 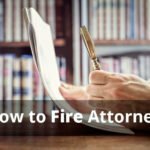 If you have ever dealt with an insurance company, you know these cases can be contested vigorously. The method to determine whether a motorist was underinsured changed in 1989 and effectively opened a Pandora’s Box of disputes over legal limits to claims. The nature of uninsured and underinsured motorist claims and the potential for catastrophic injuries and even fatalities mandates that claimants retain representation by experts in the field. 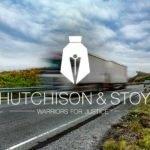 In Fort Worth, Texas, the attorneys at Hutchison & Stoy, PLLC handle personal injury litigation and uninsured and underinsured motorist claims. Please call 817-820-0100 or fill out a free online case evaluation regarding your uninsured or underinsured motorist claim. This is time well spent. Uninsured and underinsured motorist cases require representation by experts in the field!